MaxCorp believes that the best way to grow an insurance organization is to grow it profitably. We have honed our M&A skills over the past 30 years and can assist you in any aspect of the deal: projections, negotiations, assumption reinsurance, coinsurance, modified coinsurance, financing, contract development, etc. If you are in the market to buy or sell a block of business or an entire company, we can provide the expertise you need. MaxCorp has developed a talented and detail-oriented due diligence team that can evaluate all aspects of an insurance company operation, including, but not limited to: accounting, agency, actuarial, claims, commissions, compliance, information systems, new business, policyholder service, premium accounting, and underwriting. Careful projections, negotiations, and contract development are not enough to ensure the success of an acquisition. 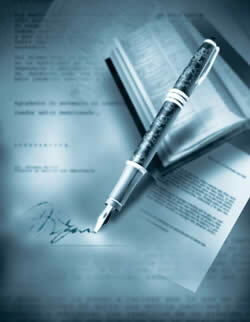 Thorough due diligence is essential, and MaxCorp provides the best due diligence in the business. MaxCorp also operates as a Third-Party Administrator (TPA) for other insurance companies. With over 45 successful acquisitions and 65 computer conversions, we have proven ourselves very capable of assimilating other companies’ policies and administering them in an efficient and customer-oriented manner. MaxCorp is in the market for acquisitions itself. If you need a buyer more than you need a consultant, we may still be able to help you. What are we looking for? We're not looking for major medical or Medicare supplement blocks. We are, however, looking for life and annuity business; and if the health insurance is part of the deal, we'll still consider it. Do not be shy about bringing us small companies or blocks; we will look at any size acquisition with a value of business up to $100 million (not including C&S). Please contact our President, Jim Lewis, for more details.